At the start of the year, the white ball cricket started its road trip in order to rejuvenate from the red ball humdrum routine. This road trip of ODI cricket encompassed numerous tourist spots, but the major attractions were going to be IPL 2019 and CWC 2019. The tourists have already cherished the spectacle of IPL, and now it is time for them to visit the iconic destination of WC. As the journey is headed in the right direction there are still moments to be enjoyed on the way before the bus reaches England. As the gala event will take place in England all the Indian fans will be craving for the repetition of 1983 heroics. India is one of the favourites to lift the trophy with its star-studded cast. 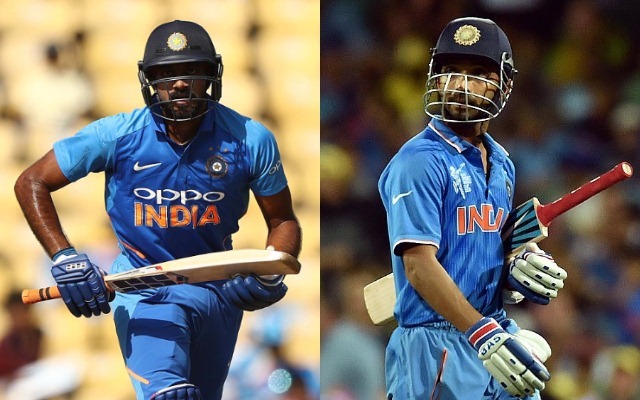 As the BCCI has announced the 15-man squad, some players might be dreaming, and some of them may be feeling the pinch of missing out on a lottery. In every WC there will be some new faces in the squad as they may have replaced the stars who played in the last tourney. Ajinkya Rahane was a regular in the ODI set-up before the last WC in Australia. At that time the team used him as a back-up opener but due to the successful pair of Rohit-Dhawan, he was pushed to the no. 4 in most of the matches. In order to utilize his talent, the Indian team gave him the mantle of no. 4 in the CWC 2015. He played a couple of good innings but he failed to deliver consistency which is mandatory in such events. The TN all-rounder, Vijay Shankar was not in the scheme of Indian selectors until a year ago. In very few ties Shankar has shown his potential with the bat and ball and has particularly impressed everybody with his exploits while batting at no. 4. Like Rahane, Vijay Shankar is a sound batsman with classic technique and his bowling is an added bonus for the captain. This WC can be his career-defining series, as he is given the role which Rahane performed in the last edition.